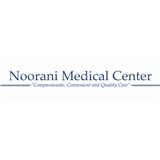 Noorani Medical Center (Riverview) - Book Appointment Online! PLEASE NOTE - TO SCHEDULE AN APPOINTMENT THROUGH ZOCDOC, INSURANCE MEMBER ID MUST BE SUBMITTED ALONG WITH THE APPOINTMENT REQUEST. We accept patients ages 16 and older. Offering a wide variety of family medicine services including comprehensive physical exams, on-site lab and well woman visits. We are currently accepting new patients and work with most major medical insurance.